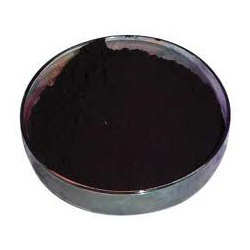 Leading Exporter of solvents black re dye from Mumbai. As a Solvent Dye, Solvents Black Re Dye finds application in meeting dyeing requirements of paints, textiles, leather and other products. Coming with 100% purity, the dye offers superior light fastness property as well as is also chemical free. With higher solubility, the dye also find use in areas like hydrocarbon fuels, lubricants, ink, printing inks, plastics, foils, glass coloration and other application areas.